In a survey of 1,800 Note to Self listeners earlier this month, nearly 80 percent of respondents told us that sometimes they get headaches, insomnia or eye twitches as a result of information overload — but they still continue consuming more. Gloria Mark, informatics professor at the University of California, Irvine, has found that the habit is a self-perpetuating cycle. She uses sensors — Fitbit-like “acto-graphs,” lightweight cameras, heart rate monitors and regular “probes” — to measure how our bodies and emotions react when we spend time online. And her lab’s findings have been fairly consistent: Interruptions stress us out and keep us from properly concentrating, which stresses us out further, disrupting our concentration further, and on and on. Read the full story on the NPR website. Read the full story on Los Angeles Times website. 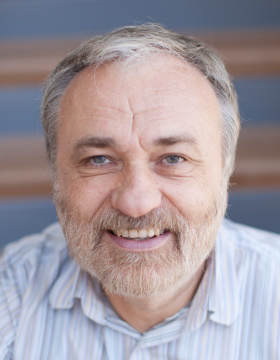 Informatics professor Alfred Kobsa has received a Mercator Fellowship from the German Research Foundation (DFG), the largest research funding organization in Germany. The Mercator fellowship will enable Kobsa—whose research focuses on the areas of user modeling and personalized systems, privacy, support for personal health maintenance, and information visualization—to participate in “intensive, long-term project-based collaboration between researchers from both domestic and foreign institutions,” according to the DFG. Throughout the duration of the fellowship, Kobsa will work both on-site at a German institution and continue his project collaboration here in Irvine. “Foreign Mercator Fellowship holders are awarded the title of Mercator Fellows in recognition of their dedication,” the DFG notes. White-collar workers check their inboxes an average of 77 times a day, according to research by Gloria Mark, an informatics professor at the University of California, Irvine. (If that sounds low to you, she found some workers check email far more frequently, up to 343 times a day or more.) The more time people spend focused on email, Mark has found, the less happy and productive they are. Read the full story on The Atlantic website.